All rooms are non smoking and have Plenty of off-street parking. Most rooms are ground floor level. 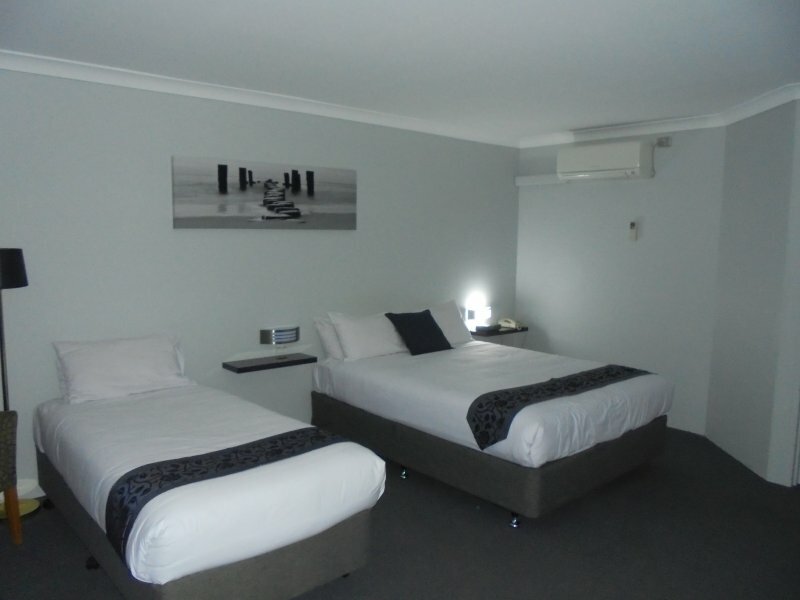 Guest’s rooms are equipped with split systems for heating /cooling, refrigerators, tea/coffee making facilities, toaster, hairdryers, irons, ironing boards, writing desks and Free Foxtel. Other facilities offered onsite are Guest Laundry, B.B.Q., Swimming Pool. Dine In the relaxed atmosphere of the Restaurant or in the Privacy of your Room. 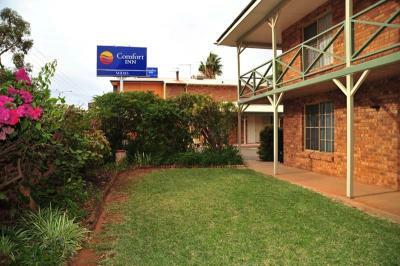 Queen Bed.Non smoking and ground floor level.The room is equipped with split systems for heating /cooling, refrigerator, tea/coffee making facilities, microwave, crockery and cutlery, toaster, hairdryer, iron, ironing board, writing desk and Free Foxtel and Wi-Fi. Queen Bed with separate lounge. 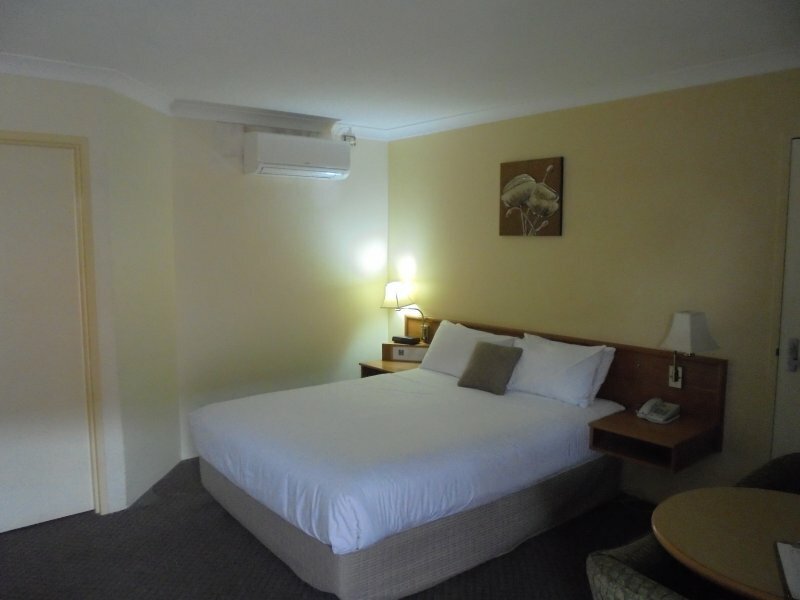 (all suites are located upstairs)Non smoking.The room is equipped with split systems for heating /cooling, refrigerator, tea/coffee making facilities, microwave, crockery and cutlery, toaster, hairdryer, iron, ironing board, writing desk and Free Foxtel and Wi-Fi. 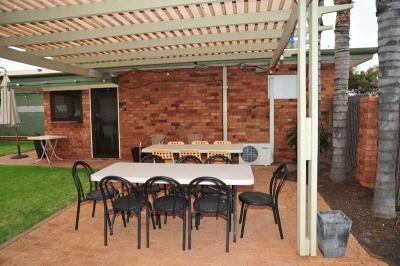 Double and Single.Non smoking and ground floor level.The room is equipped with split systems for heating /cooling, refrigerator, tea/coffee making facilities, microwave, crockery and cutlery, toaster, hairdryer, iron, ironing board, writing desk and Free Foxtel and Wi-Fi. 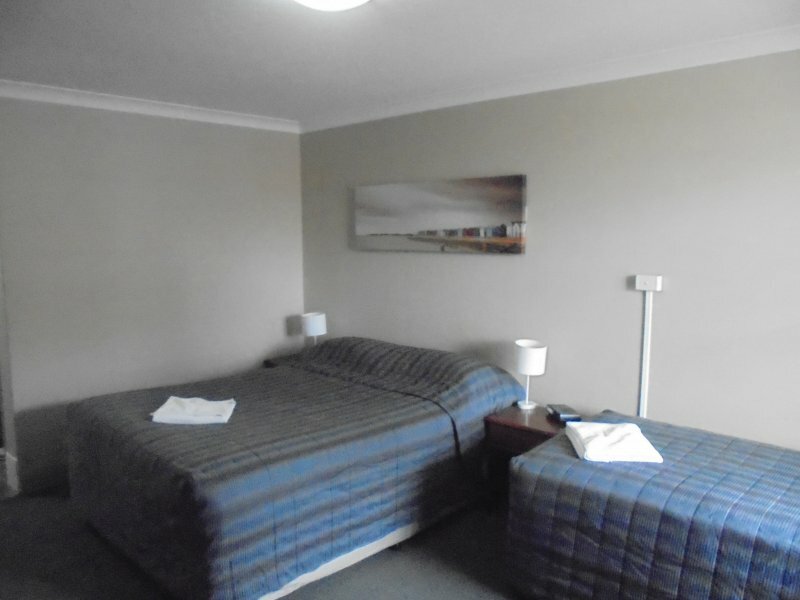 Queen Bed and single bed.Non smoking.The room is equipped with split systems for heating /cooling, refrigerator, tea/coffee making facilities, microwave, crockery and cutlery, toaster, hairdryer, iron, ironing board, writing desk and Free Foxtel and Wi-Fi. Executive Family Room. Interconnecting Door. 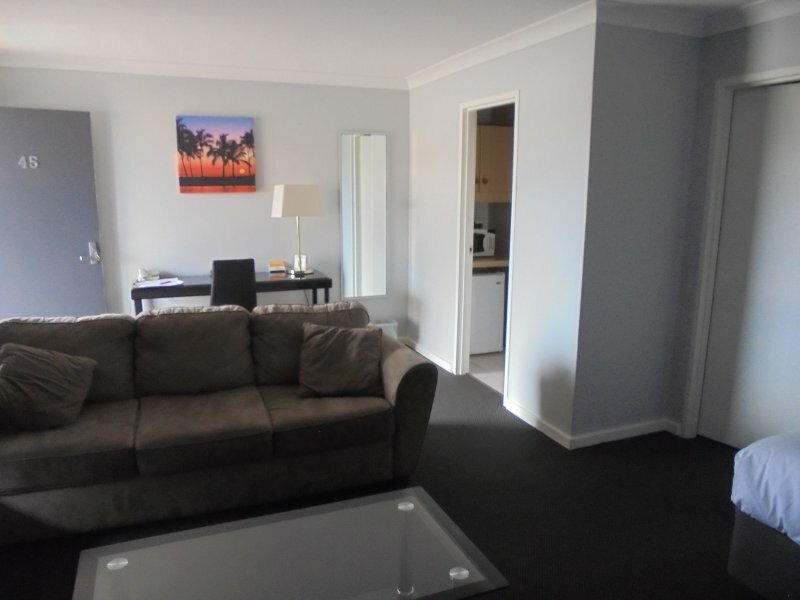 2 Rooms, each room has1 Queen Bed, 1 Single Bed, 1 Bathroom.The room is equipped with split systems for heating /cooling, refrigerator, tea/coffee making facilities, microwave, crockery and cutlery, toaster, hairdryer, iron, ironing board, writing desk and Free Foxtel and Wi-Fi.